Coming Soon: "Gumball: Mutant Fridge Mayhem"
We've partnered up with Cartoon Network to develop a new game based upon the hit show "The Amazing World of Gumball" Introducing... Mutant Fridge Mayhem! What happens when you leave a 17-year-old jar of jelly in the fridge? 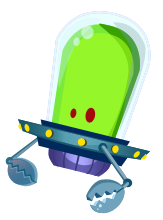 You get a mutant food invasion, that’s what! It’s the ultimate food fight. Team up as Gumball, Darwin, and Anais to take down the mutant leftovers before they infect the entire town. Unleash the mayhem on your device -- COMING SOON! 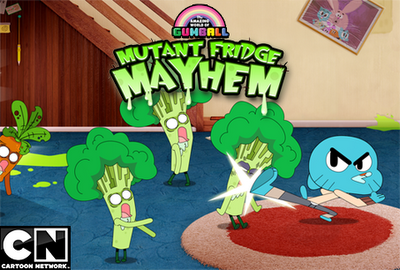 Check back here for more on Mutant Fridge Mayhem soon!